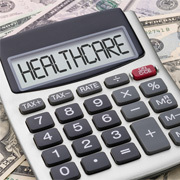 As healthcare costs steadily keep increasing and companies keep trying to push high deductible insurance plans, the number of services responsible for patient billing and collection also are on the rise. Unpaid patient balances more often than not have a detrimental effect on your accounts receivables, as many times, the dues run over 6-12 months, if not more. This reality, the significance of which is slowly dawning over healthcare practitioners, has therefore placed greater importance on patient collections. Since medical bill collections are notoriously difficult to collect, most organizations end up writing off a large percentage of the debts. Patient balance collection therefore not only requires organizational support and effective processes, but also standard regulations which need to be followed by the medical billing service provider. How Does Patient Balance Debt Accumulate? As a business, one needs to come to terms with the fact that a percentage of the patients will always have unpaid balances. Patient collections can be uncomfortable in nature, but certain strategies like the ones mentioned below can help you improve your collection stats. Your front desk staff serves as the first point of contact for your patients. Apart from making the patients feel welcome, they should also be smart enough to accurately glance through the patient accounts before checking them in. They should be able to politely inform the patient of a past-due balance, and enquire whether they would be able to pay it there and then. To ensure they don't get around to saying "no", questions could be framed as statements such as "Would you like to pay by card right now?" Always try to hire someone who along with their front-end duties, can be assigned to follow up on a list of past-due balances. The person should not only diligently follow up with the patients, but also be capable and tenacious enough not to take "no" for an answer. If required, you can also hire a team of specialists who are not only good talkers, but also good at convincing people to pay up. By arranging for patients to pay for their care in advance and scheduling meet ups with the billing staff as part of the patient's care regimen, you can benefit greatly. You can also start pre-authorizing procedures which carry a minimum risk of price inflation due to irregularities, such as vasectomies, circumcisions, IUD insertions, etc., thereby letting patients pay up before the procedure itself. Your billing staff could call up the insurance companies involved a week prior to the procedure and arrange a series of payments in advance for better, streamlined payment processes. If you are not rebilling your patients for initial care, some patient collections would go unbilled as they won't come up against the insurance providers' name. For example, some families may forget to enroll infants into their existing insurance plans right after birth, and the consequence has to be faced by the healthcare facility by rolling back the charges, as patients can't pay the amount anyways. You can ensure that your billing team verifies each and every such instance separately with the family's insurers, and follow up with them in case of problems. This would also make work smoother down the line for your billing department, as they would have a clear idea whether to bill properly or not. Sometimes, even at the liberty of being harsh, you need to understand that your services cannot be taken for free, with or without the patient's knowledge. Sometimes, sending letters and making calls might not work, and you need to make it clear to the patient that failure to pay can result in having the account turned over to collections, as well as dismissal from the practice. Many patients do not want to go through the harassment of such collection agencies, and might return the full amount in due time. It might sound contrary to all the points mentioned above, but the truth is, there always will be patients who would simply not pay. Please remember that every phone call and letter costs money to your healthcare practice, and patient balance collection also involves paying salary to a whole team of billing professionals. Set very clear rules on just how many calls or letters your people are allowed to send, and thereafter stop chasing after the patients and give the work to a collection agency. At O2I, our team of enthusiastic medical billing professionals works directly with your team to manage all billing related functions, while assisting them in every way possible to provide accurate clinical reimbursement, medical billing and coding, and payment posting services. With our proven healthcare services, we can make sure that you are fully reimbursed for all the services rendered to a particular patient. Contact us right away for zero obligations quote, we will be glad to assist you with your medical bill collections.